Baltic Ground Services (BGS), an international provider of ground handling and into-plane fuelling services, has announced about the decision to appoint Darius Aleknavicius as the new head of the company. D.Aleknavicius stepped into the role as the new CEO of Baltic Ground Services on the 9th of December, 2013. Darius Aleknavicius holds a Master‘s Degree in Business Organizing and Management. The specialist boasts 20 years of experience in managing businesses and projects in the sectors of transport, logistics, production and others. Up until this April Darius had been in charge of Litexpo Congress and Exhibition Centre. The new CEO of Baltic Ground Services has replaced the previous head of the company Saulius Batavicius who is set to leave BGS on the 20th of December. ‘There is a limited number of such inspirational and highly promising industries as aviation. I consider the opportunity to join Baltic Ground Services as a once-in-a-lifetime chance to participate in this rapidly evolving global industry. I am positive that together with its highly dedicated international team we will continue to successfully develop company activities both in Lithuania and across other European markets,’ commented D.Aleknavicius. 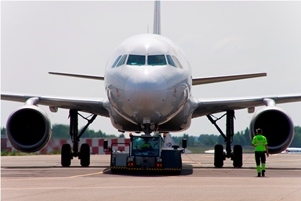 ‘Today Baltic Ground Services operates in airports across Lithuania, Poland and Italy where it successfully provides passenger and ground handling, into-plane fuelling and other services. Without any doubt, Darius’ knowledge and experience in developing global business projects will further accelerate the expansion of BGS activities in both the already existing and new markets. We are very excited about the prospect to work with such a highly-qualified specialist and talented manager who will definitely lead the Baltic Ground Services team to new hights and accelerate company development in the highly competitive segment of aviation industry. I would also like to use this opportunity to express our utmost gratitude to Saulius Batavicius for his dedicated leadership and successful performance during the long years spent with BGS. 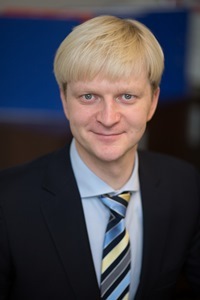 Due to his managerial abilities and great interpersonal skills the company has grown into what it is today – a truly international service provider with a strong presence in the European market,’ spoke Gediminas Ziemelis, the Chairman of the Board of Avia Solutions Group, the parent company of Baltic Ground Services.